In this undated photo from a 2008 newsletter by the Bresciani missionaries, the Rev. 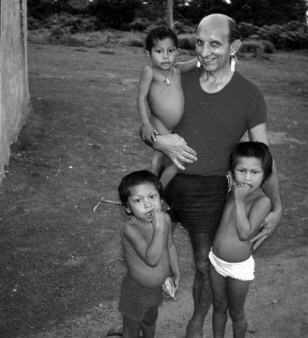 Mario Pezzotti stands with Kayapo Indian children in Brazil. His was among 30 cases uncovered by the AP of priests accused of abuse who were transferred or moved abroad.